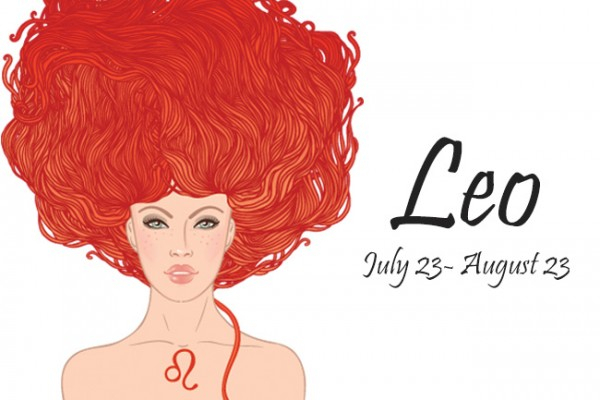 Sun in Leo from July 22 to August 23, 2018 is the time to open your heart, let your hair down and enjoy yourself. In the northern hemisphere this is high summer season, when you have few cares: business slows down and school is out: time to play! Play, have fun, relax and enjoy the sun-shine. Spend time with children / let your inner child out. Add colour to your life: accessorise, get a new hairstyle or catch a show. Open your heart. Tell someone you love them. Showcase your talents: paint, write, sing, dance, act, play. Do what energises you and makes you happy. Spoil someone you love - and don't forget yourself. Stand up tall. Do exercises that strengthen your core muscles in the back and abdomen. Check your ego: examine where you are being attention-seeking, self-centred, childish or vain. If your world has been drab, let love, joy and sunshine back into your life. Check your Sun-Sign and your Ascendant or "rising sign" below, to see in which astrological house the Sun’s annual passage through Leo 22 July - 23 August (i.e. deep summer) shines a light in your own life. Deep summer is all about fun, love and romance for you, dear Aries, as Sun in Leo falls in your 5th house. This intensifies your desire to flirt, be playful and introduce some dramatic flair in your life. You may feel particularly creative and eager to take a risk and this is a good time to embark on a creative project or romantic adventure. Children may feature prominently in this period and you can enjoy some memorable times with them. With Leo naturally in your 5th house, these are the activities that make you feel at your best, so enjoy this time to the max! Deep summer is all about home and family for you dear Taurus. It is often a time with lots of drama and activity in your house and family life, also a time where you can really reconnect with your roots and draw forth nourishment for the year to come. You can benefit from spending time alone or with loved ones, as well as tending to and beautifying your home and inviting people over. With Leo in your natural 4th house, these activities strengthen you and nourish you at the deepest level, so go for it! Deep summer is a particularly busy time for you dear Gemini, as Sun in Leo falls in your 3rd house with which you have a natural affinity. This time of year is filled with communications, travel and movement of all kinds for you, often with a large dollop of drama and pizzaz. Learning new things and connecting with people from all walks of life is a fantastic way to enjoy this period, as is writing, speaking, and doing business. Leo falls in your 3rd house natally and these are the activities where you are truly at your best! Deep summer is all about developing and showcasing your talents, making money and introducing greater financial security in your life, dear Cancer. It is a good time to take a closer look at your values and consider what matters most. It is also a good time to do things that increase your self-worth. You might find that your spending increases too, or that you have an urge to splurge, speculate and add some dramatic flair to your financial management. With Leo in your natural second house, making money should be one of your favourite pastimes in any case, and this is the time to show what you’re really worth! Happy Birthday, dear Leo! Deep summer is your time of the year - the time when you are the star of the show! This is your time to shine, have fun and take matters in your own hands. Don’t be surprised if you find yourself in the midst of all the drama too! Love and romance feature highly this period and you can successfully pursue any objective close to your heart, as nobody can resist your natural power and authority. Now is a great time to tend to your appearance and don a look to wow others! Sun in Leo is in your natural 1st house of personality, making the whole show revolve around you...and this, of course, is when Leo feels at its best! Deep summer is the one time of the year for you, dear Virgo, when you can retreat from the hustle and bustle, ponder life and recharge your batteries. Don’t let yourself be drawn into drama that is not of your doing. Bring down the shutters, go on a retreat and have some alone time, where you can meditate, recuperate and clear away any junk in preparation for the more frantic pace of your own birthday month. Now is also a good time for you to work quietly behind the scenes on a project you love. With Leo in your natural 12th house, doing so feels natural to you in any case. But equally important with Leo in your 12th house is to regularly retreat to de-clutter and fine-tune your delicately honed system, for that is what allows life to flow back in your veins. Don’t hesitate to take it! Your dreams may be more vivid during this period. Deep summer is all about socialising and connecting with friends for you dear Libra. With Leo in your natural 11th house, these kinds of activities truly allow you to shine. Now is also the best time to join a club or work with others on a collective endeavour. Given Leo’s propensity for drama, it might also be a time for a bit of flair in your friendships! Sun in Leo might also be a period when new dreams are born and you can really think about what activities and people you want to be involved with in your life. It’s a time of great popularity and the perfect moment for you to set forth in pursuit of your dreams. Deep summer puts you straight into the spotlight, dear Scorpio. Where other signs might fall off the radar and indulge in some quiet down-time, this period has the tendency to put you in charge, letting your natural authority shine forth. Now is a good time to set new goals and think about the direction you want your life to take. You might experience professional success now too and gain the respect of others. At worst, this period might create some very public dramas, as it is difficult for you to keep things out of the public eye now. But it can also bring success, honour and titles. And, with Leo in your natural 10th house, Scorpio loves to be on top and in control, so just relax and enjoy being top dog! For you, dear Sagittarius, deep summer is all about travel – in mind or body. The desire to expand your horizons is in your very soul and with Leo falling in your natural 9th house - the house of Sagittarius - this is where you shine without hardly exerting any effort! This period is all about broadening your vistas through travel, education, publishing, broadcasting and all kinds of adventure. You could successfully launch a book, blog or show now, visit foreign cultures or address a legal matter. This is also a good time to revisit your philosophy of life and ponder deeper questions. You love these activities anyway, so deep summer should find you right in your element. Deep summer is the most private and sexiest time of year for you dear Capricorn, even if not always the most comfortable. With Sun in your 8th house, it may often be a time of crisis and change, or a time when you are dramatically occupied with matters revolving around shared resources, intimate relations and involvements, the division of property, taxes, insurance, loans and grants. With Sun in Leo to help you, you might often find that these have a favourable outcome at this time. The hottest part of summer may also be a time of great intensity and passion - bringing transformation and change for you, asking you to trust life and uncover your hidden power. With Leo in your natural 8th house, the masterful handling of power is where Capricorn feels at its best, so jump in with both feet and embrace it! Deep summer is all about relationships for you, dear Aquarius. The spotlight falls on your husband or wife, your business partner or a competitor. It is a great time to focus on your significant other, or even hire an agent or other professional contractor. You might also find that there is increased drama in your relationships during this period and that you have to defer to others more than usual, reacting rather than taking the reins yourself. With Leo in your natural 7th house, it may well be that you are at your best when you link up with another – preferably one with a strong and admirable personality. Time to let others take the lead and set the pace! For you, dear Pisces, deep summer is all about tending to your health and physical needs and enjoying life’s simple pleasures. Pisces loves the sea, so maybe soaking up the sea-air is what heals your body and recharges your batteries. Whether you’re on holiday or at the office, this is a great time to work productively and set an enjoyable daily routine for yourself. Even the most mundane daily actions can become rituals if done with the proper conscious attention. Being a highly spiritual and imaginative sign, you are excellently suited for seeing the divine in things mundane. With Leo in your natural 6th house, it may well be that this is where true happiness lies for a Pisces. So apply your imagination and make the most of life’s simple pleasures!